Breeding goal: A very tall, eyed flower. 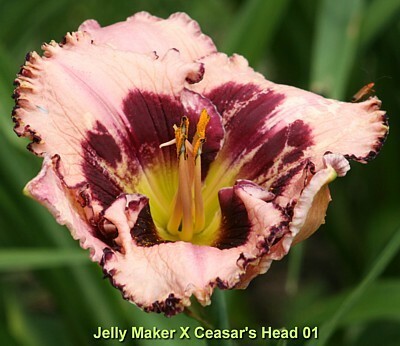 Expectations:I have high expectation, with Ceasar's Head clocking at a towering 35", and presenting a huge 7" flower. 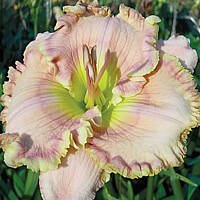 And look at the shape and substance on that flower!!! You bet I will cross the largest, tallest progeny of this cross together, and with just about everything. 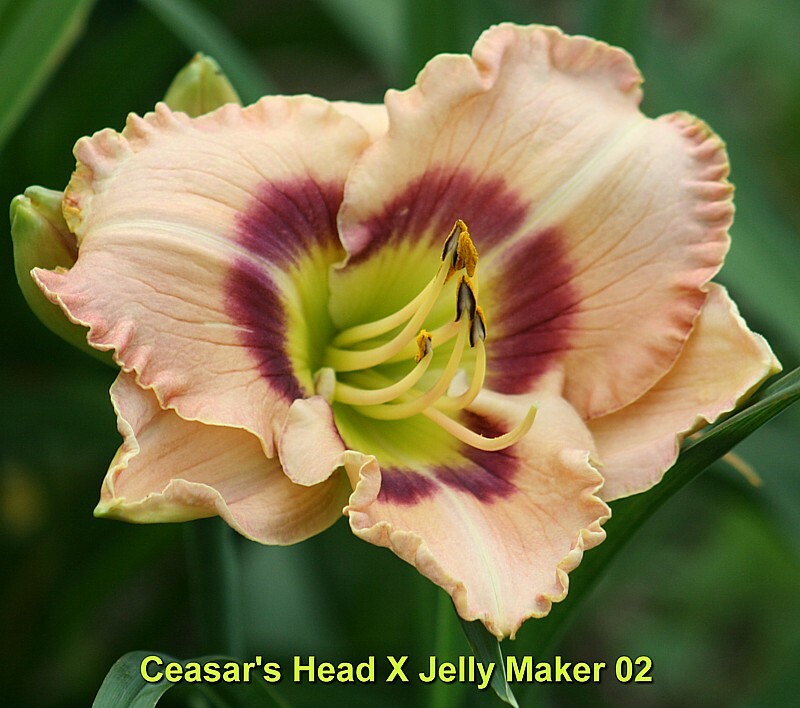 Jelly Maker is not slouch either, 6.5" flower and 32" high. Notes: July 1. FFO. Horribly cold morning, and very poor opening. Because it bloomed on a small plant, I'll give it another year. 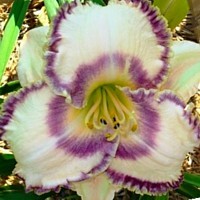 The color is a disappointment; another 'Awesome Blossom' clone. Notes: July 4. FFO. I was hoping for height; this scape is really short, but the flower has a really nice shape. Will keep to observe again next year. It's blooming on a rather small plant. Notes: July 10. Twins looking pretty.